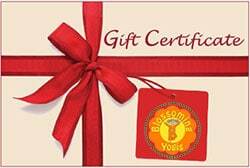 Blossoming Yogis offers customized yoga programs for schools! 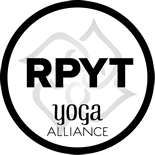 Whether you are looking for a weekly class for your preschool or an after school enrichment program through your PTA or PTSA, Blossoming Yogis can work with you to meet the needs of your school. Each week’s class will focus on a different theme encouraging the kids to use their imagination to embody animals or things found in nature using traditional yoga poses as our guide. An example would be pretending to surf on a surfboard by coming into Warrior I, or turning into a swaying tree by coming into tree pose. Each class has a unique theme like “A Day at the Beach”, “A Trip Around the World” or “Planes, Trains and Automobiles” and uses yoga as a medium for learning using different ‘elements’ from Dr. Howard Gardner’s theory of multiple intelligences – among them anatomy, music, visual art, ecology, and language. When children practice yoga in this way, they are also learning math, reading, science, nature, and much more. No previous yoga experience is necessary and classes are designed to cater to the specific age ranges of the kids in the class. Kids don’t just like yoga – they LOVE yoga! Kids are natural yogis and thrive in the fun, creative environment fostered in kids yoga classes. Yoga is an organized system for what comes naturally to kids already. Kids have strength, energy and flexibility. They get excited and they calm down. At times they like to move and other times, they are still. Yoga allows them to be their authentic selves, explore movement, enjoy stillness and cultivate imagination and a sense of inner peace, while building self-esteem, friendship and community. But most importantly of all, yoga can help kids to see the beauty and strength within themselves, increasing their self-confidence, helping them feel comfortable with their bodies and connecting with who they truly are inside. No wonder they love it so much! Q: Do you provide yoga mats? A: If you are planning to offer kids yoga as an ongoing program in your preschool, I encourage each family to purchase a yoga mat for their kids to keep at school. I get a discount on yoga mats when I order them in bulk and would be happy to pass the discount along to you. 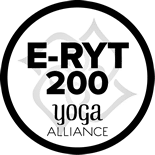 If you are looking for an after school yoga enrichment class through your Elementary school’s PTSA, kids can either bring their own mats in, or I can bring kids’ yoga mats for the kids to borrow. Either way, I will be asking the kids to take off their shoes and socks for safety and stability. A: I recommend that kids wear comfortable clothes on yoga days. They should also bring water and a snack to eat before class starts (if it’s an after school activity). Please see the previous question and answer regarding yoga mats. Q: How long are each yoga class and how long is each yoga class session? 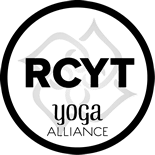 A: The length of each yoga class depends on the age of the kids and the timeframes provided by each individual school if classes will be held during school hours. Classes can range from 30 minutes to 60 minutes in length. Most sessions are 8 weeks long, but again, we are happy to cater to your school’s needs. Q: How many kids will be in each class? A: Usually in an after school enrichment class, there will be between 6 and 15 kids in a class. In a preschool setting, there might be more kids in a class depending again on the school’s needs. Q: How old do the kids have to be to start practicing yoga? A: My youngest student was 2 weeks old! I am also certified to teach Itsy Bitsy Yoga, so I have been trained to teach yoga to kids of all ages – from newborns to 18 year olds! With that said, kids under age 3 do best with a parent or caregiver joining them for class. Kids ages 3 and up benefit the most in a school setting where their parents aren’t present. Q: Can my child be injured in a kids yoga class? A: Like in any physical activity or sport, injuries can occur. However, yoga is very safe for your child. Anna is trained in child development and anatomy and makes sure to facilitate kids yoga classes with safety in mind. Q: Will I have to sign a release form before my child can participate in a kids yoga class? A: Yes, you will be provided with a questionnaire and release form, which must be filled out and signed before your child can participate in a kid’s yoga class at school. The questionnaire helps Anna to learn more about your child, which helps to ensure that they have an enjoyable experience in yoga class. Q: Some adult yoga classes are spiritual in nature – are kids yoga classes like that too? A: As mentioned before, kids yoga classes are all about movement, imagination, education and fun. While kids yoga classes include many of the components of an adult yoga classes (breathing exercises, yoga poses, relaxation (Savasana) and end our classes by saying Namaste), there are no spiritual or religious concepts woven into the lesson plans. We do learn about the history and origin of yoga – usually in the first class of the session. Please feel free to discuss any other concerns with Anna at any time – she’s more than happy to answer your questions! Q: Do you only offer yoga in schools in sessions, or are you available to offer a one-time special yoga class at our school? A: Anna would be happy to offer a one-time yoga class at your school if that is what you’re looking for. Q: How can we schedule a yoga program in our school? A: Simply contact Anna by either calling her at 425-681-3813 or sending her an email. Anna would love to share yoga with the kids at your school! Contact her today for more information.